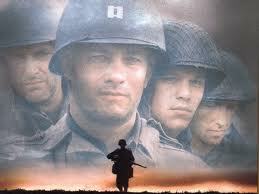 November | 2010 | "El Milagro Weblog"
Lately I have been thinking about Spielberg’s movie “Saving Private Ryan”. Not because we just celebrated Veteran’s Day or because I am particularly inspired by war movies, but because I have been researching models for effective teacher leadership. And not-so effective models, too. And because, for a moment there, we lost sight of our mission, just like Captain Miller’s troops. It happened yesterday when my staff watched Sir Ken Robinson’s video clip on the relative zaniness of the American public education system. We all seem to share a common loathing for standardized tests and what they do to our teaching. The absence of science and physical education and critical thinking and poetry and joy is conspicuous in our efforts to meet this year’s version of the AYP. There is deep stress in that. Moreover, we are healing from a self inflicted (though well-intentioned) wound since we expanded from seven multi-age classrooms to 21 in one year. Our teachers are struggling. Searching for support. Venting. Identifying their frustrations and cursing our commitment to innovation. And cursing me for promoting the idea in the first place. Fair enough. But in the emotions of the moment during our weekly staff meeting when all of our teachers’ patience was at the boiling point, we all forgot that our school is driven by a mission. Eleven years ago we vowed to get 90% of our students to grade level. At the time, only 19% were there. That was considered par for our demographics- a low income school 7 miles from the border to Tijuana. But we knew that our students and families and teachers were better than that. We knew our students had it in them. 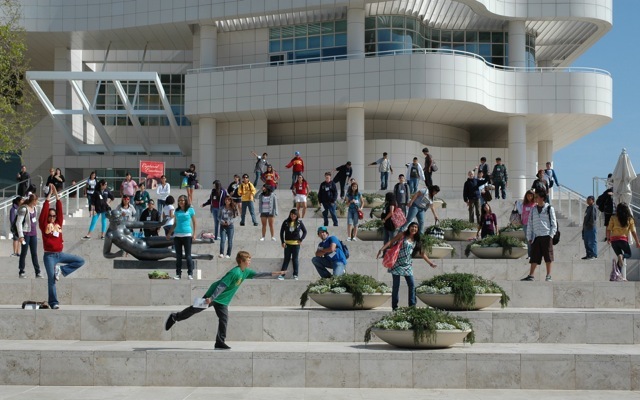 We knew our kids would be saddled by low expectations for the rest of their lives unless we changed the culture of achievement at our school and throughout our community. And so we did. And now 70% are proficient…and climbing. Our mission is decent and worthy. We are not inspired by NCLB or the superintendent or the fear of being labeled an underperforming school. We are driven, purely, by the boundless potential of our students. So we promote authentic teacher leadership and democratic models of decision making because we believe that that is the pathway to achieving our goals. It is the way in which we will get that final 20% proficient. There is no other roadmap. No one person has the “right answer’ so we count on all of our teachers to share their expertise for the good of the whole. It just seems like lately we have gotten distracted by the challenges of implementing large scale change and we have lost our acuity for identifying the alternative tactics and strategies necessary to move forward. It is killing morale. It is testing our resolve. In the end I am sure Sir Ken Robinson is right and we are all complicit in the destruction of America’s system of public education because we defer to the standardized test. But that is the game we are in. That’s the deal. Even when the troops are restless. 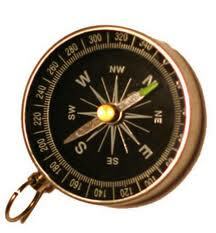 Sometimes leadership is pointing the compass back to “true north” and holding on to the rudder for all you are worth. There is a scene in “Saving Private Ryan“ where Captain Miller’s battalion disintegrates into a dangerous rabble of griping hot heads armed to the teeth and threatening to shoot each other. They had had enough of ‘the mission’. But he stood his ground in the midst of the chaos. He was calm and decisive. And for the sake of dramatic effect and unity of purpose, he reminded them all of their lives back home. Earlier, they had placed bets on what their captain did for a living. Remember his answer? He was a high school history teacher. Mission-driven. A model of teacher leadership.